Lisianthius sempervirens Mill. ex Steud. 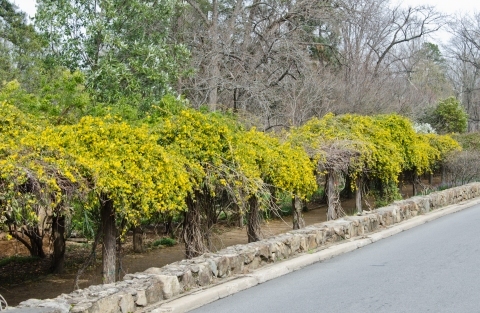 False jasmine is an evergreen, climbing shrub producing stems 3 metres or more long. The plant is harvested from the wild for medicinal use. ]. Prick out the seedlings into individual pots when they are large enough to handle and grow on in the greenhouse until plants are at least two years old. Plant them out into their permanent positions in early summer and give them some protection from winter cold for at least their next winter.